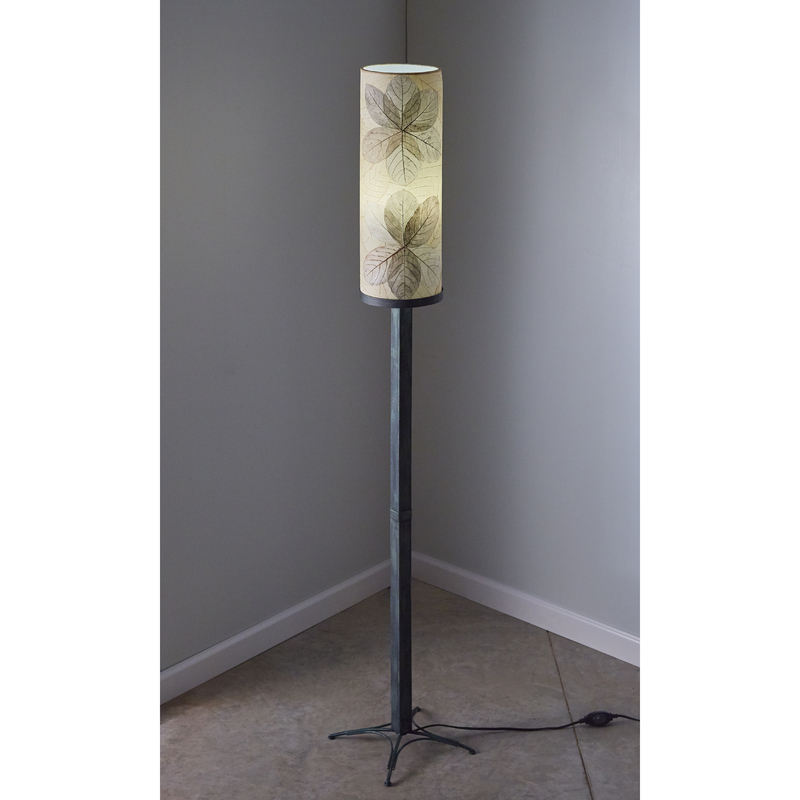 With a bold wrought iron stand and clean lined leaf shade, the Pilar Lamp adds light and charm to your deck, porch, or patio. 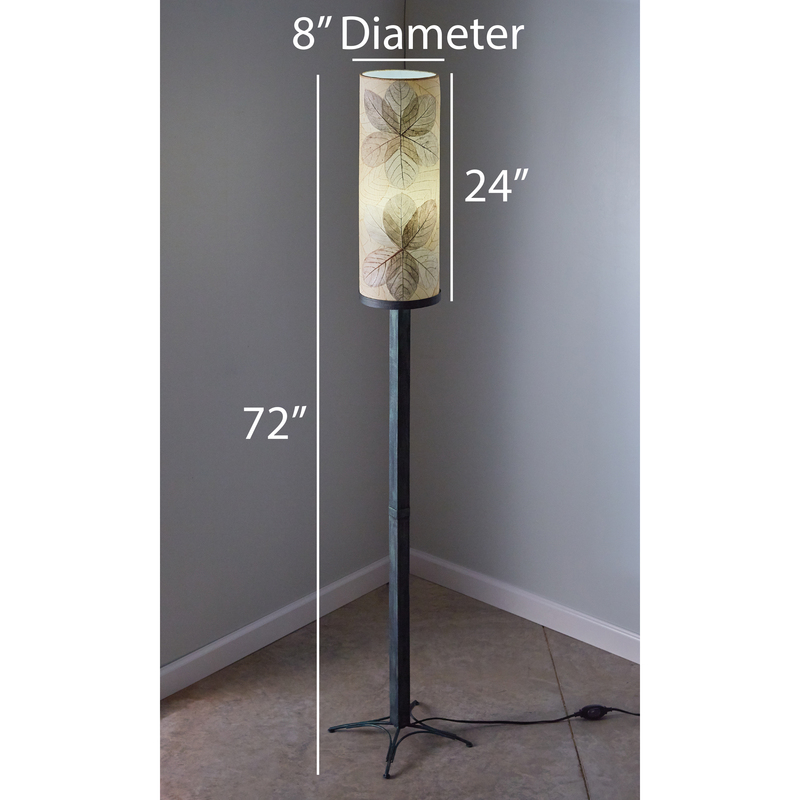 Using contrasting jackfruit leaves and cocoa leaves, the cylinder top features a built in outdoor LED bulb. 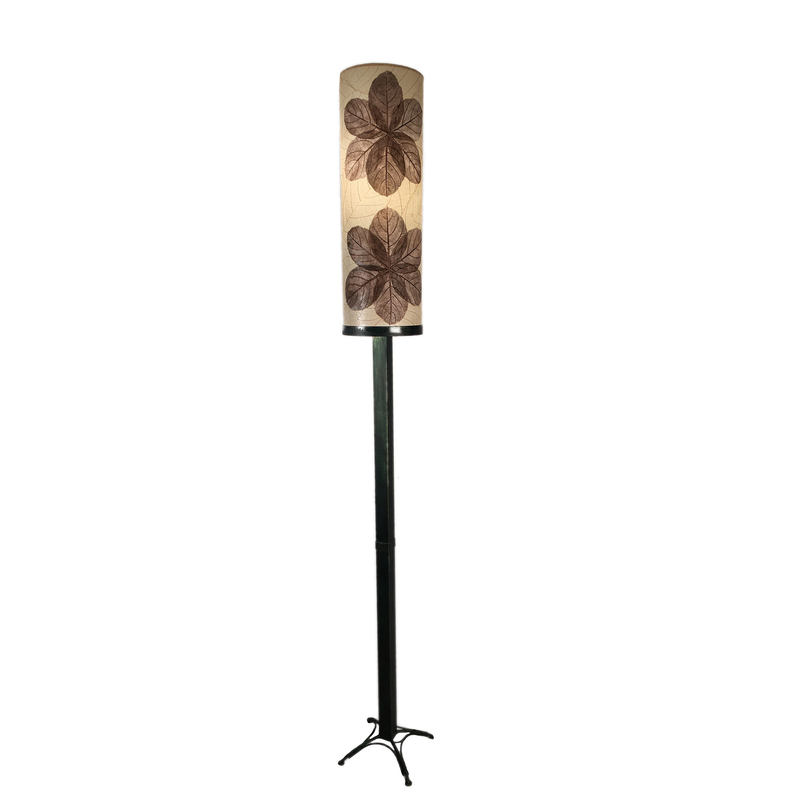 Features fossilized cocoa leaves that are handplaced onto a standard UL lampshade backing, laminated and formed into a cylinder shape. 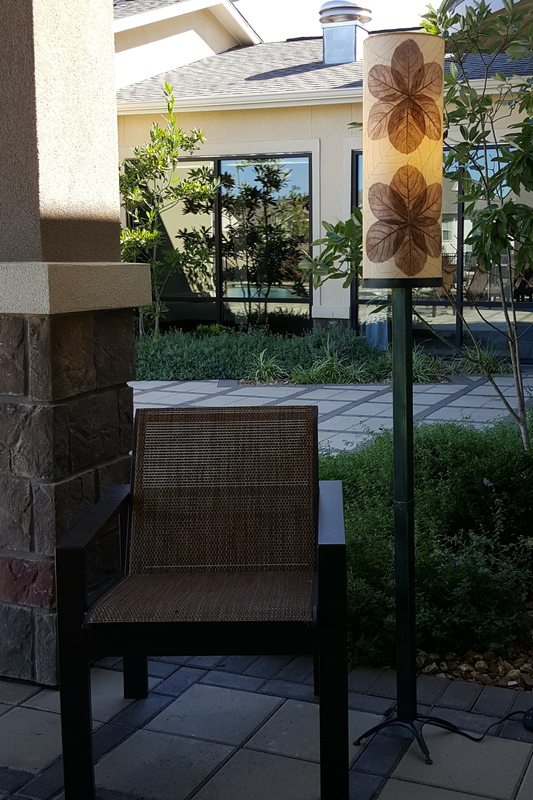 The cylinder is set to a squared central post.